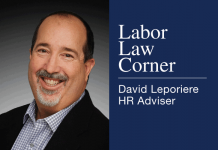 Home Helpline Labor Law Corner Does School Activities Leave Law Include High School Graduation? Do I have to allow my employee to attend her grandson’s high school graduation? We approved her request 2 months ago but now we are short-staffed and want to revoke that time off. Can we terminate her if she doesn’t come to work? You may be required to allow your employee to attend the graduation if the School Activities Leave law applies. The Family-School Partnership Act was enacted in California in 1995. It prohibits employers from discriminating against or terminating an employee for taking time off work to participate in school activities provided that the employee provides reasonable notice of the planned absence. California Labor Code Section 230.8 requires employers of 25 or more employees working at the same location to allow time off work—up to 8 hours per month and 40 hours per year—for employees to participate in their child’s school activities from kindergarten through grade 12. This law applies to a parent, guardian, stepparent, foster parent, grandparent of or person who stands in loco parentis to a child. Certainly high school graduation is the culmination of the child’s successful participation in school activities. The school expects that family and friends will be attending by sending out invitations and by having reserved seating, and it is an activity that the school engages in every year. The employee satisfied the reasonable notice requirement by providing notice of the graduation 2 months in advance and got the time off approved. If the employee believes that he/she has been denied school activity leave, or was terminated for having used it, the employee may file a claim and may be entitled to reinstatement and reimbursement for lost pay and benefits. In addition, if the employee is terminated, the employee may be able to allege that he/she was wrongfully terminated on the basis that the time off had been approved and that it was for a school activity. Given that the employee may file a claim for being denied the time off or terminated, before an employer takes any adverse action against the employee, the employer should consult with an attorney. 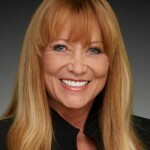 Sunny Lee joined the CalChamber in 1995 and currently is an HR adviser. Before joining the CalChamber staff, Lee represented employers in state and federal court and before governmental agencies. She has extensive dispute resolution experience, having served as a court mediator in harassment cases, employment disputes and business litigation. She has trained employers and conducted audits of employment practices. Lee earned a J.D. from the McGeorge School of Law, University of the Pacific.